One of the biggest video gaming companies ever has just affirmed its support for the new Apple TV, itself just revealed this week by Apple. Activision wrote a blog post detailing the games it will bring Skylanders SuperChargers, Guitar Hero Live, and Geometry Wars 3: Dimensions Evolved to Apple TV, which shows a confidence in Apple’s ability to create yet another fantastic home for gaming as it did with iOS. These aren’t casual like Crossy Road (though those types of games will do well on the big screen, too), but full console versions of popular titles. 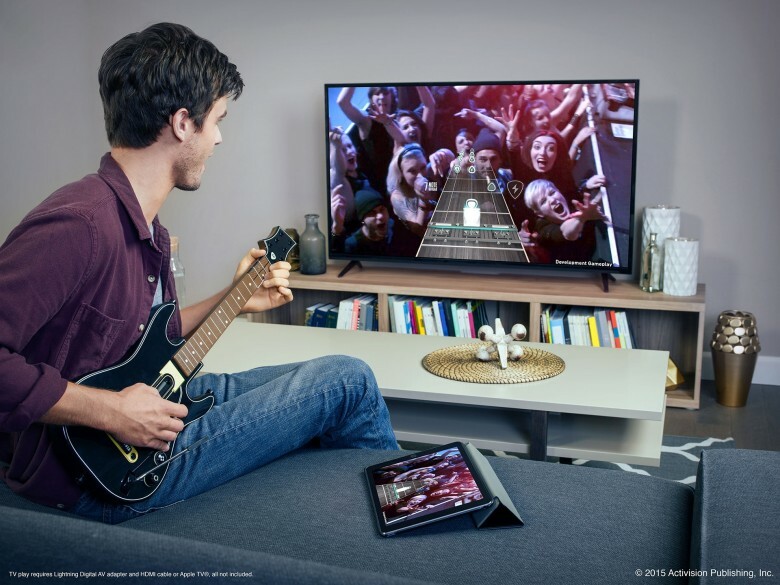 Guitar Hero Live will come with its own Bluetooth-enabled plastic guitar controller, letting you play the rock star on the big screen via Apple TV. You’ll also be able to play the game on the go via your iPad, iPhone, or iPod touch. This is a game that hasn’t even come out yet for PlayStation 4, Xbox One, Wii U, and older consoles, so having it as a launch-day game on Apple TV is quite the coup. 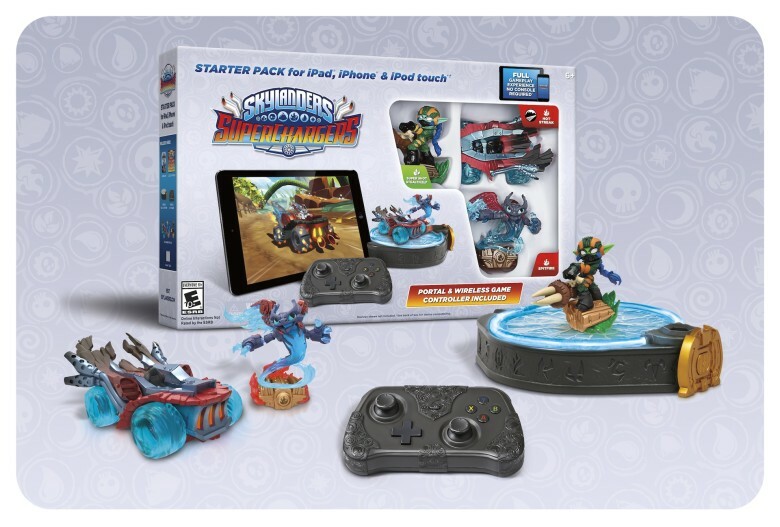 Skylanders SuperChargers will come with a Bluetooth-enabled portal, an embedded Bluetooth controller, and even a built-in stand. Progress in the game on your Apple TV will sync across all your iOS devices, too, making this value-add pretty compelling. If you’ve already got Skylanders Trap Team’s portal and controller, it will work with this new game as well. This is also a game available on console, providing feature parity with Apple’s upcoming set top box. Geometry Wars 3: Dimensions Evolved released on PC and consoles last year, mobile devices this year. Activision promises to bring it to Apple TV and iPad Pro (!) this fall. It’s a fast-paced arcade-style shooter with neon colors and a revamped online coop mode so you can blast aliens with a buddy. Imagine playing it on your Apple TV, then switching over to your iPad and playing with Apple Pencil as a controller. Wow. Sure, the Apple TV won’t have the horsepower of a gaming console like PlayStation 4 or Xbox One, but it won’t have to. With these kinds of games coming to the $169 Apple TV, the market of people who actually need to buy a dedicated gaming device just got smaller. This entry was posted in Apple news and tagged Activision, Apple TV, Apple TV games, games, guitar hero, ios, Skylanders. Bookmark the permalink.